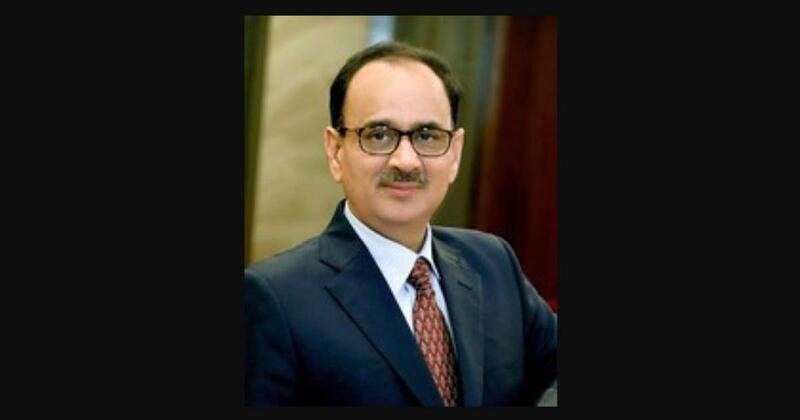 The Supreme Court on Tuesday ruled against the government’s decision to send Central Bureau of Investigation Director Alok Verma on leave pending an inquiry, and reinstated him. The court ruled on two petitions challenging the Centre’s decision made in October. A 48-hour nationwide strike called by 10 central trade unions began on Tuesday. The strike hit traffic and banking operations in several parts of the country, particularly in Left-dominated West Bengal and Kerala. The strike is supported by All India Kisan Sabha, Adivasi Adhikar Rashtriya Manch, Bhumi Adhikar Andolan, and several other government organisations. A Bihar court on Tuesday ordered a first information report to be filed against actors associated with the soon-to-be-released film The Accidental Prime Minister. The film is based on Sanjaya Baru’s 2014 memoir of the same name and details Singh’s relationship with the Congress party’s Gandhi family. Two videos surfaced on Monday showing liquor bottles being distributed at an event organised by Nitin Agrawal, son of Bharatiya Janata Party leader Naresh Agrawal, at a temple in Uttar Pradesh’s Hardoi district. The incident took place at a Pasi Sammelan organised at the Shravan Devi Temple in Hardoi. The Shiv Sena on Tuesday claimed author Nayantara Sahgal’s invitation to a literary meeting in Maharashtra was rescinded after the organisers found out that she was going to speak about incidents of cow violence and lynching. Organisers of the 92nd All India Marathi Meet on Sunday revoked Sahgal’s invitation workers of the the Maharashtra Navnirman Sena objected to it. 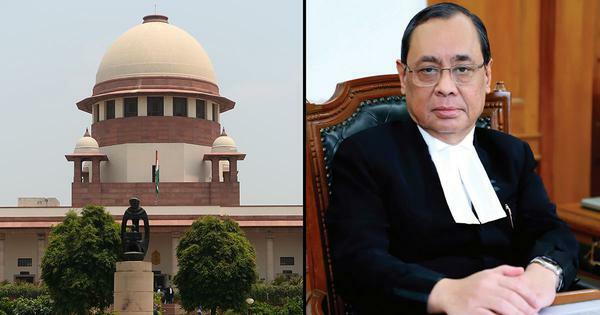 A five-judge Constitution bench of the Supreme Court, headed by Chief Justice Ranjan Gogoi, will on January 10 hear a batch of petitions related to the Ram Janmabhoomi-Babri Masjid land dispute case. Justices SA Bobde, NV Ramana, UU Lalit and DY Chandrachud will be the other four judges. The Reserve Bank of India on Tuesday named a five-member panel to encourage digital payments and to “enhance financial inclusion through digitisation”. Former Unique Identification Authority of India Chairperson Nandan Nilekani will head the panel, which will be known as the High-Level Committee on Deepening of Digital Payments. Congress President Rahul Gandhi on Tuesday praised the Supreme Court for its verdict quashing the Centre’s decision to divest Central Bureau of Investigation Director Alok Verma of his responsibilities and send him on leave. 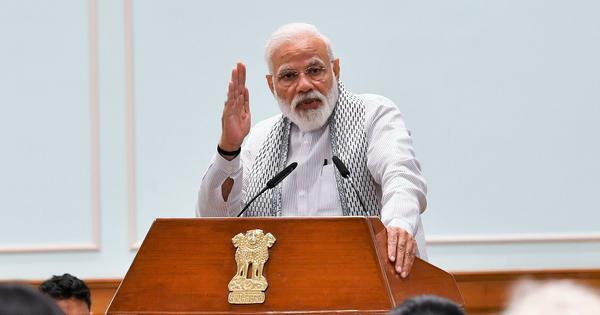 Gandhi claimed that Prime Minister Narendra Modi’s administration had sent Verma on leave just before he was scheduled to investigate alleged irregularities in the Rafale jet deal. The Meghalaya government report submitted to the Supreme Court on Monday reveals that the 15 miners trapped in an illegal rat-hole mine in East Jaintia Hills were presumed dead the day the accident was reported. The district administration wrote to the National Disaster Response Force on December 13 asking for help in recovering the “dead bodies”. The Lok Sabha on Tuesday began discussing the controversial Citizenship (Amendment) Bill amid protests inside Parliament and in the North East states. Home Minister Rajnath Singh, who introduced the Bill, said the draft law is not restricted for Assam or meant to only benefit migrants from a particular country. Union Finance Minister Arun Jaitley on Tuesday defended the government’s decision to send Central Bureau of Investigation Director Alok Verma and his deputy Rakesh Asthana on leave in October after they accused each other of corruption. Jayanti Bhanushali, a former vice president of the Bharatiya Janata Party in Gujarat, was shot dead by unidentified persons in a train early on Tuesday. Bhanushali was travelling from Bhuj to Ahmedabad in the Sayaji Nagari Express. Around 3,000 buses were off the roads in Mumbai on Tuesday as employees of the Brihanmumbai Electric Supply and Transport went on an indefinite strike from Monday night. As many as 25 lakh commuters were expected to be affected. The Supreme Court on Tuesday issued a notice to the West Bengal government, asking it to respond to the Bharatiya Janata Party’s appeal against a Calcutta High Court order restraining the party from conducting its rath yatras in the state. The Lok Sabha began discussing the controversial Citizenship (Amendment) Bill, 2016 on Tuesday even as protests took place in the North East against the draft legislation. It was the first time Opposition parties did not disrupt proceedings during the Question Hour. India-born economist Gita Gopinath took over as the International Monetary Fund’s chief economist, becoming the first woman to occupy the top post. 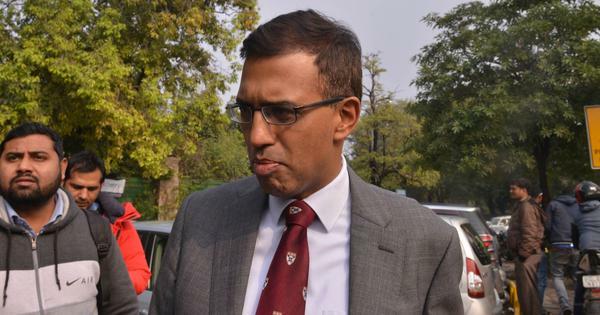 Gopinath joined last week and becomes the second India-born economist to hold the position after former Reserve Bank of India Governor Raghuram Rajan. A 30-year-old man was shot dead in New Delhi on Sunday after he allegedly threw a stone at a pet dog. The police have registered a case of murder against the dog’s owner, identified as Mehtab, who has been since missing. Public transport in Bengaluru and other parts of Karnataka were disrupted on Tuesday because of a 48-hour nationwide strike called by 10 central trade unions. However, private buses, auto, taxi and metro services were available as usual. Mixed responses to the strike were also reported from Mysuru, Mangaluru and Hubballi-Dharwad. The Supreme Court on Tuesday refused to stay an order by the National Green Tribunal that had allowed the reopening of Vedanta’s Sterlite plant in Thoothukudi, Tamil Nadu. 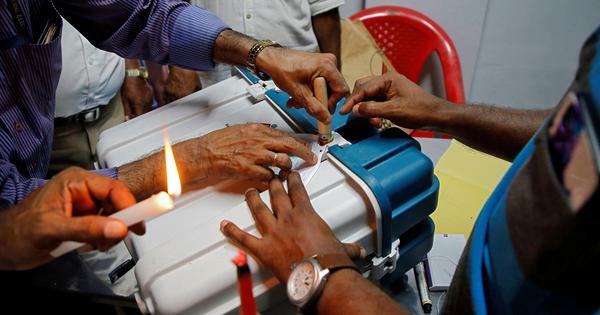 Assam Minister Himanta Biswa Sarma on Monday claimed that Hindus will become a minority in the state within five years if the Citizenship (Amendment) Bill is not passed, PTI reported. Sporadic incidents of violence were reported from several parts of West Bengal on Tuesday after the strike called by trade unions began. The Supreme Court on Tuesday quashed the Centre’s decision to divest Central Bureau of Investigation Director Alok Verma of his responsibilities. Verma had challenged the government’s decision to send him on leave in October. The Supreme Court on Tuesday will give its verdict on two petitions challenging the government’s decision to send Central Bureau of Investigation Director Alok Verma on leave in October. The petitions were filed by Verma and NGO Common Cause. As many as 10 central trade unions have called a 48-hour nationwide strike protesting against the “anti-people” policies of the Narendra Modi-led Bharatiya Janata Party government. The strike, which began at midnight, is supported by the All India Kisan Sabha, Adivasi Adhikar Rashtriya Manch, Bhumi Adhikar Andolan, and several other government organisations. The Uttar Pradesh Police on Monday arrested another accused in the violence that erupted in Uttar Pradesh’s Bulandshahr last month after an alleged incident of cow slaughter. Additional Superintendent of Police (City) Atul Kumar Srivastava identified the accused as Pawan Kumar. 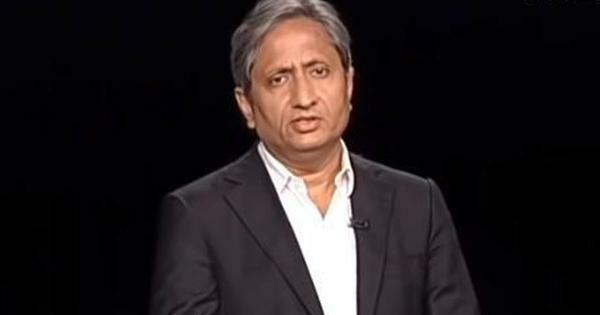 The West Bengal Police on Monday booked five Bharatiya Janata Party leaders, including two who incited people to take up arms against the police and beat them up. Senior Trinamool Congress leader and minister Partha Chatterjee said the BJP was known for making such comments as they have “neither any respect for law nor constitution”. 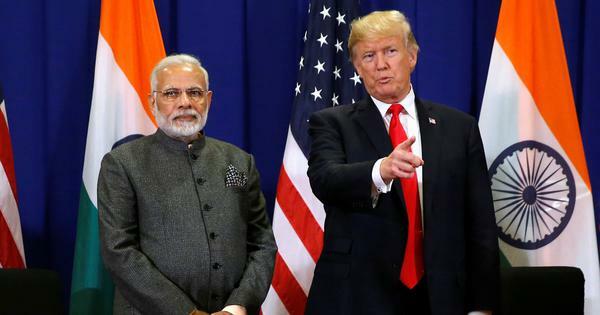 Prime Minister Narendra Modi and United States President Donald Trump discussed reducing the trade deficit between their countries and increasing cooperation in Afghanistan in a telephone call on Monday. The Centre on Monday told the Supreme Court that all appropriate steps were being taken to rescue 15 miners stuck in an illegal mine in Meghalaya’s East Jaintia Hills district since December 13. The government said the Indian Navy has deployed remotely-operated underwater vehicles at the site to trace the miners. Author Nayantara Sahgal on Monday said she will not attend the 92nd all-India Marathi Sahitya Sammelan this week even if a fresh invitation is issued to her. A Maharashtra Navnirman Sena leader had opposed Sahgal’s invitation, following which the organisers of the literary event rescinded it on Sunday.